and abundance to a whole new level. Enroll by choosing your attendance level and then clicking on the buy button. Click to see special package rate. It is to your advantage to review and update your goals and priorities every three months as your thinking and ability to manifest changes. 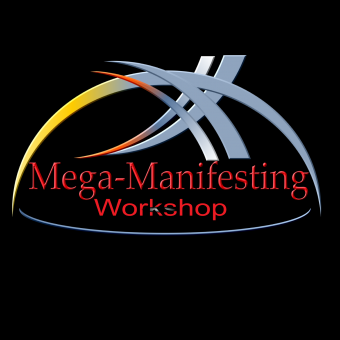 Click the down arrow to invest in a 4 Workshop Package that will help you continue to grow and excel in your life. # Would you like to know how people can be extremely successful with little effort? # Do you experience an overabundance of negative feelings and a minimal amount of positive? # Have you stopped dreaming because of the fear of what you might lose? # Are you ready to stop trying the gimmicks and quick fixes that don’t work? # Wouldn’t you like to pray and know that it is answered? # Are you ready to change for the better? Discover your most intrinsic abilities, personal values and personal belief structures. Design a plan to achieve your desired goals in the next 3-6 months. Release hidden issues/reasons that have been holding you back. Utilize your most productive strategies and enhance your capabilities. You will bring into your life a new understanding of success, money, and emotionally rich living with grace and ease. This is an invitation to enter into those untouched areas of your life in such a profound way you are propelled into your built-in ability to create the life you have always desired - just like those who land on top do! Reset your views about money and success. If you answered yes to any of these questions this workshop is for you. Receive a Manifesting Journal to track your success. Your Seminar leader Beverly Fells Jones is the author of three acclaimed books and known as the “Silver Fox of Consciousness.” Beverly has helped many learn and apply active meditation techniques to their lives which quiet the debilitating negative mental programs and replaces them with a new empowering voice which catapults them towards success. Beverly spent a successful corporate career with IBM (29 years) and Hewlett-Packard (12 years) and was the go to person when computer software systems were not working. Over the years she developed the ability to get to the root cause of issues quickly and easily even when it appeared the issue was somewhere else. This talent aided in her transition to a career as a Certified Hypnotist Coach, Silva UltraMind ESP Instructor and other modalities. This ability to use laser focus in her coaching and hypnosis practice aids Beverly in clearing stumbling blocks to her client’s success. She is a master at peeling away the layers of limiting thoughts and beliefs that keep a person from achieving their dreams.